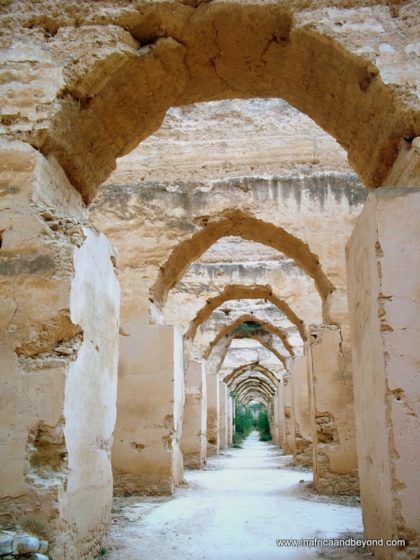 The Royal Stables in Meknes, Morocco were one of the most fascinating structures I’ve ever seen. They were built during the rule of Moulay Ismail (born 1645 and died 1727). They used to house twelve thousand horses and their attendants, a groom and a slave for each one. Standing in the partially ruined stables, listening to the intriguing stories of what took place there, I didn’t even have to close my eyes to imagine I was there too.
! I shared this on my Facebook and my followers loved it ! You have really have made a good effort. Thanks for this amazing site.